Meet Dutch, Our new boy coming to us from The Netherlands. Dutch has great body structure and excellent bone, a stunning boy coming from Champion show and working lines. Dutch is already showing great promise with in the field. He has a natural solid point and loves to retrieve. 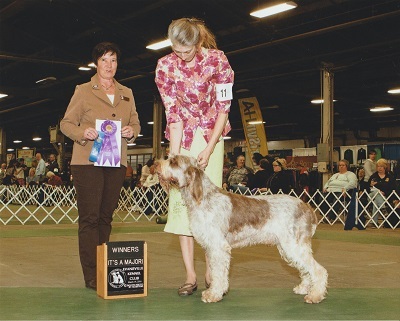 Dutch ran in his NAVHDA Natural Ability test in Fall 2015 and earned 88 points for a Prize III. 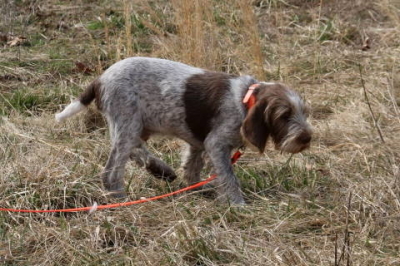 Dutch earned his AKC Junior Hunt Title in April 2016. July 7, 2017 Dutch earned his AKC Conformation Champion Title. Stay Tuned for the remaining of 2018 for more adventures from Dutch!